AUCTION! 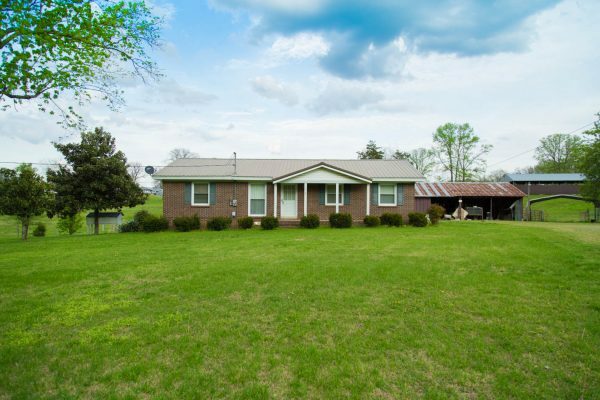 2 Homes, Barns, & Workshop on 84.4 +/- Acres & Farm Equipment | Middle Tennessee Real Estate :: Maples Realty & Auction Co. This is truly a nice working farm on 84.4+/- acres including two homes, several barns and buildings, and a 40 x 80 workshop with concrete floor. This has a spring fed pond and creek running down left side of property. It is fenced/cross fenced, and has a grain bin. Conveniently located to Murfreesboro, Shelbyville, Wartrace and historic downtown Bell Buckle. Personal Property: Hay rake, 458 John Deere round bailer, box grader, hay tedder, Troy-Bilt rear-tine tiller, manure spreader, Lewis Poultry Housekeeper, 10’ bush hog, disc plow, and more. Directions: From Shelbyville, Fairfield Pike, turn right on Bell Buckle Wartrace Road (Hwy. 269), property on left. From Murfreesboro, 231S, turn left on Hwy. 269E, turn right & stay on 269E, continue on through Bell Buckle, property on left. Just wondering if you ever need a food trailer at your auctions. Please let me know we are the Honky Tonk Grill. He do use food trucks at some of our auctions that have personal property. Can you send me an e-mail with your name and phone # and what you serve. My name is Suzanne O’Gwynn and I set up the auctions for Maples Realty & Auction Co.. My e-mail is suzanne.ogwynn@gmail.com. Thanks.